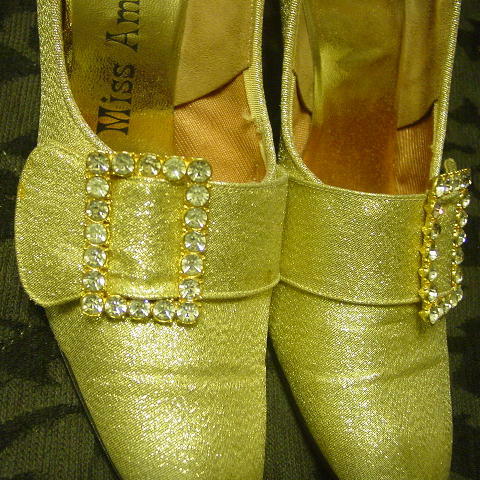 These gold lame metallic fabric shoes are vintage Miss America. 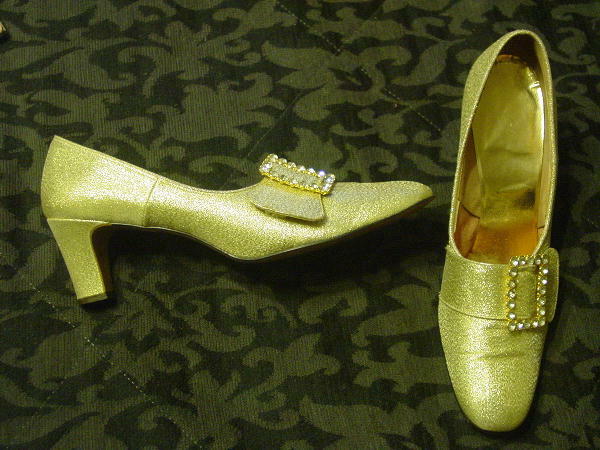 There are wide toes and gold lame insoles. 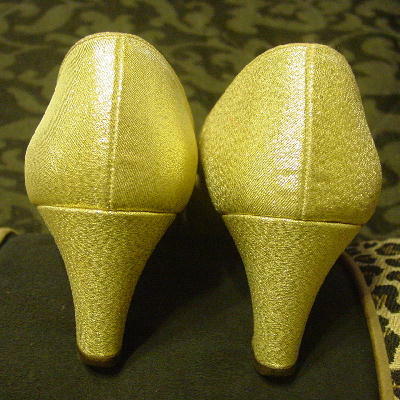 The front half of the shoes have fabric linings. The vamp areas have decorative straps with a 2" long by 1 3/8" wide decorative faux buckle with 20 large rhinestones on a gold-tone base. The right shoe strap has two age spots, one on the outer edge and one on the top strap 1" from the inner edge of the buckle. There is a wrinkle on the front of both shoes. They're from a stylist's inventory, and were worn in several photo shoots.